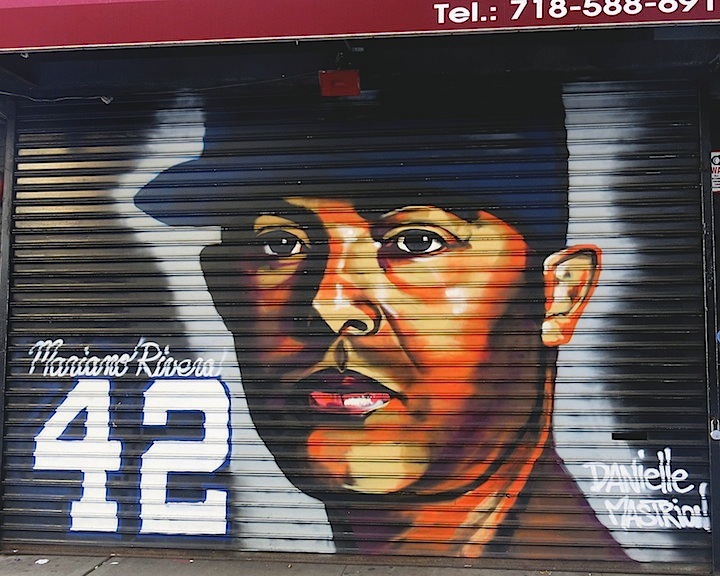 Babe Ruth, Derek Jeter, Roberto Clemente and Satchel Paige are among the legendary baseball players whose faces now grace a range of storefronts on and off River Avenue from 158th Street to 162nd Street. A partnership between the 161st Street Business Improvement District and 501 See Streets, this particular project is one of several initiated by 501 See Streets founder and director, Noah Sheroff. I recently met up with Noah to find out more about him and his Paint New York project. 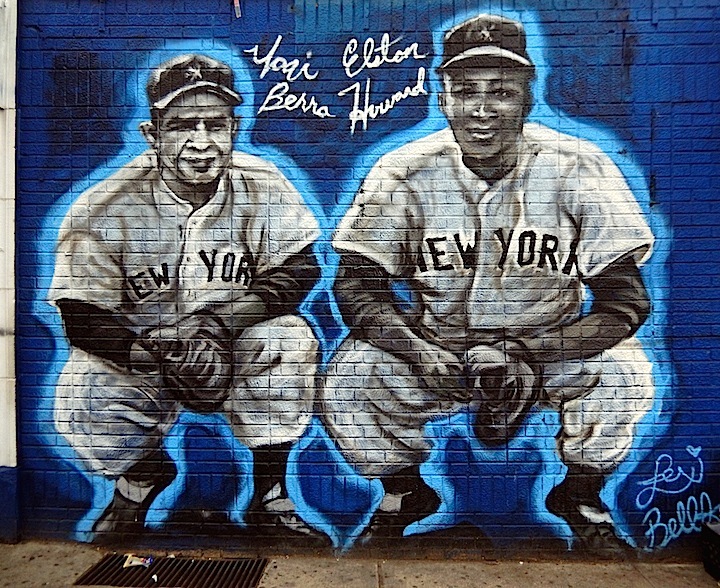 You are on a mission to bring public art to neighborhoods in NYC and beyond. 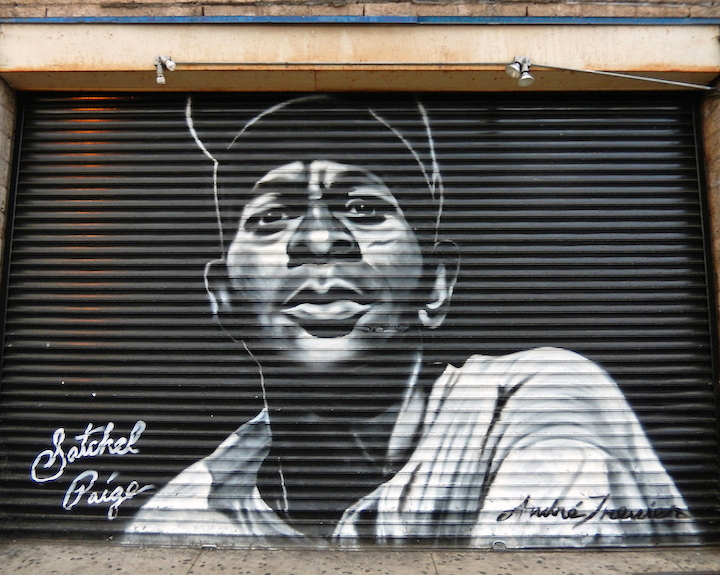 What spurred your interest in street art? I grew up in a neighborhood that was largely void of art. When I first visited 5Pointz in 2011, I was struck by the beauty and energy of it all. The following year I went on a tour of the Bushwick Collective, and soon after that, I discovered the Welling Court Mural Project in Astoria, Queens. By then I was hooked! 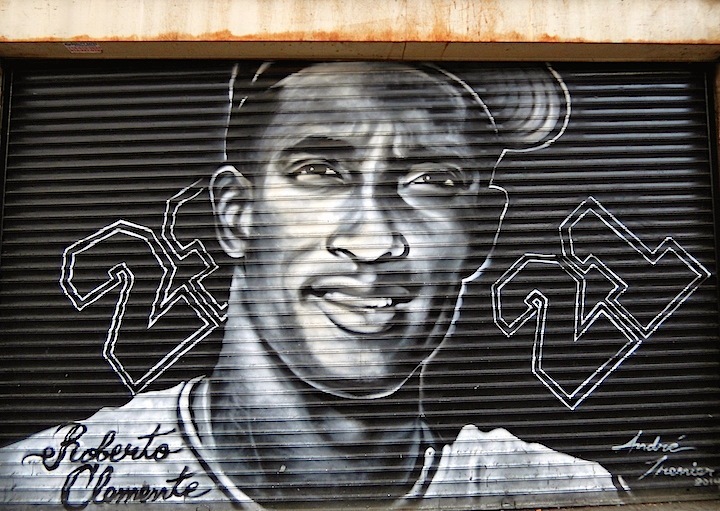 I knew that I wanted to bring art murals to communities that wouldn’t otherwise have them. 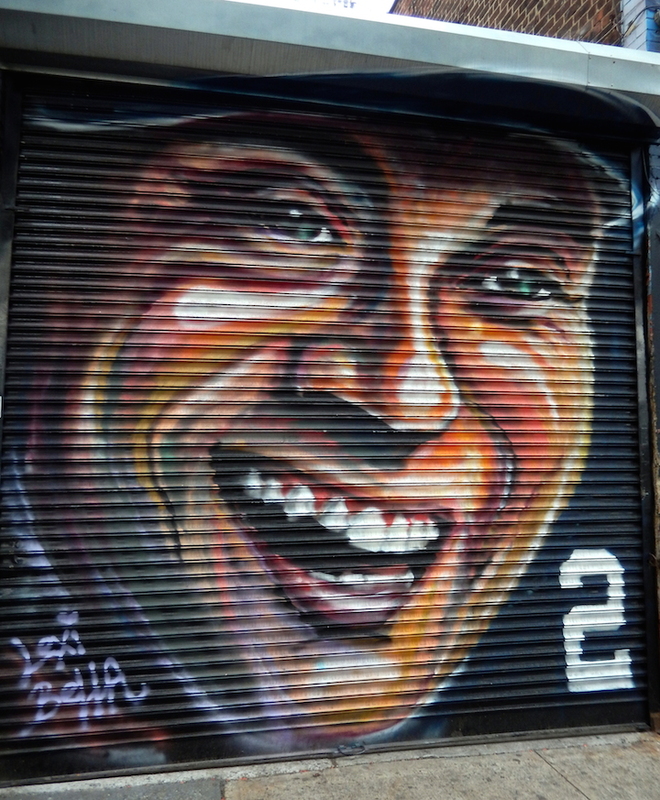 We are familiar with the murals you facilitated that have transformed the blocks around Yankee Stadium. Have you engaged other neighborhoods? Yes. 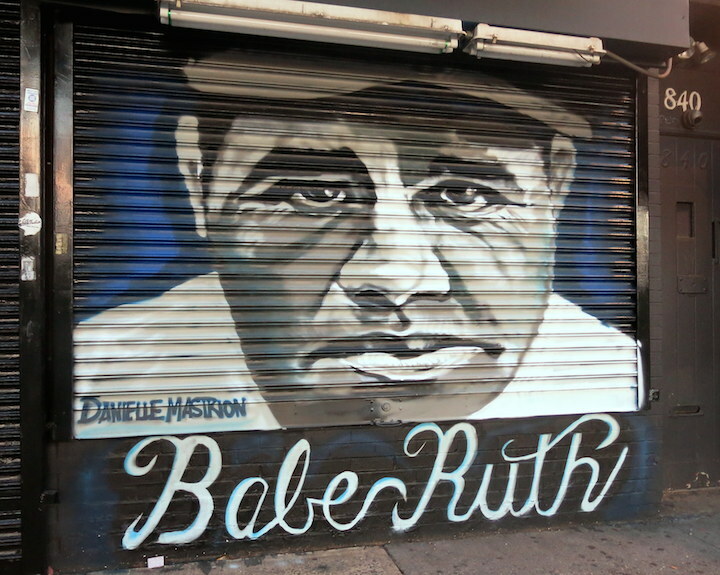 Danielle Mastrion painted a mural on Flatbush Avenue and Avenue H in Brooklyn; Miss Zukie collaborated with John Paul O’Grodnick on Benson Street.across from the Lewis & Clark School, and Marthalicia painted on Jerome Avenue and East 198th Street. What seems to be the main concern of the community? They are concerned about the content – about offending the sensibilities of the folks who live in the neighborhood. That is one of the reasons artists are often asked to submit a sketch first. You are in the process of forging alliances with several Business Improvement Districts. Are they generally receptive? Yes, the BIDs are generally receptive. They see the art as a way to highlight their businesses, bring commerce to their neighborhoods and attract tourists. I am also forging partnerships with civics and other neighborhood organizations. I’m interested in expanding Paint New York into more neighborhoods and working with a range of community groups. And at this point, fundraising is essential to cover expenses and to pay the artists for their talents and time. Good luck! And we are looking forward to 501 See Streets bringing more art to our streets!